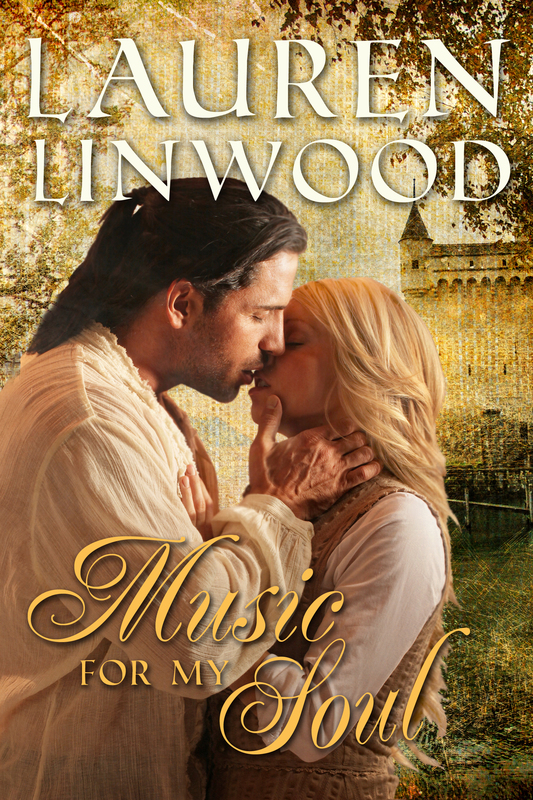 Today I’m just going to kick back a bit and let author Lauren Linwood take over A writer’s Haven with a special guest blog about herself and her upcoming release, Music For My Soul. Good morning, everyone! 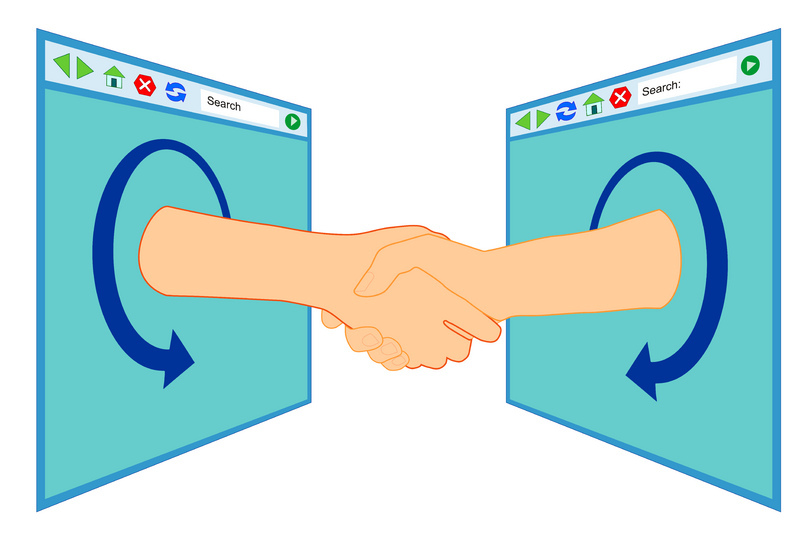 A huge thanks to Steven, my fellow Soul Mate Publishing author, for offering me an opportunity to guest blog on his site today. I’m like so many of you out there. I fell in love with words and books at an early age, able to read before I started school. I went from Little Golden Books to Superman comic books to solving mysteries with Nancy Drew and the Hardy Boys. I traveled the world from England to Greece to China, meeting everyone from Atticus Finch to Hannibal Lecter throughout the years as my reading tastes branched out to a variety of genres. Biographies drew me in from the start. Reading about the lives of real people led to a passion for history and the people who created it. As an adult, I became a history teacher and tried to bring history to life for my students. I have a passion for two eras – medieval times and the American West – and these eras are where I place my characters in extraordinary circumstances, allowing their intense desire and yearning for one another to grow into a deep, abiding love against the backdrop of history. It’s always fun to retreat into my writing world, which is far different from the Dallas suburb I live in now. I’m like a lot of people you meet – an avid reader, moviegoer, sports fan, and yoga enthusiast. The difference? I listen to those voices in my head and capture their stories on paper. 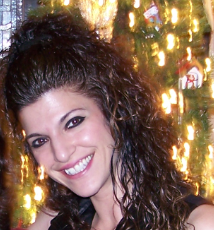 Lauren, thank you so much for stopping by and guest blogging today. I know we’re all looking forward to the May release of Music for my Soul. Spending some time with Collette Cameron and Highlander’s Hope. 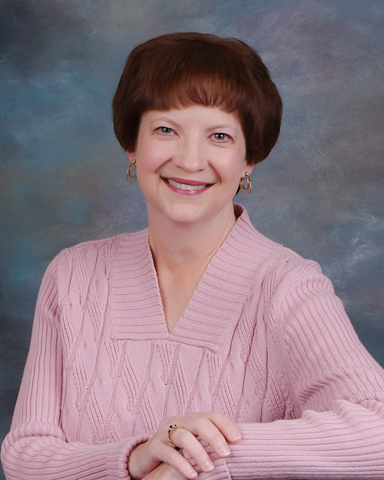 Today we’re visiting with Collette Cameron, author of Highlander’s Hope, which is scheduled for release next month from Soul Mate Publishing. Collette, thank you for stopping by A Writer’s Haven. First, I want to thank you, Steve, for hosting me! Tell us, Collette, when did you know you wanted to be a writer? Okay, can I be totally honest? I didn’t know I wanted to be a writer. Of course, I didn’t know I wanted to be a teacher until I was in my forties either. Maybe I’m a late bloomer…a very late bloomer. I’ve always been able to write, or maybe I should say, writing has always come easily to me, but there was never an “aha” moment where I decided to become a writer. Now that’s not to say I hadn’t toyed with the idea of writing a book. I had—for years. But, I never thought I’d write a romance novel. So what did I start writing when I sat in front of my computer one day in February 2011? 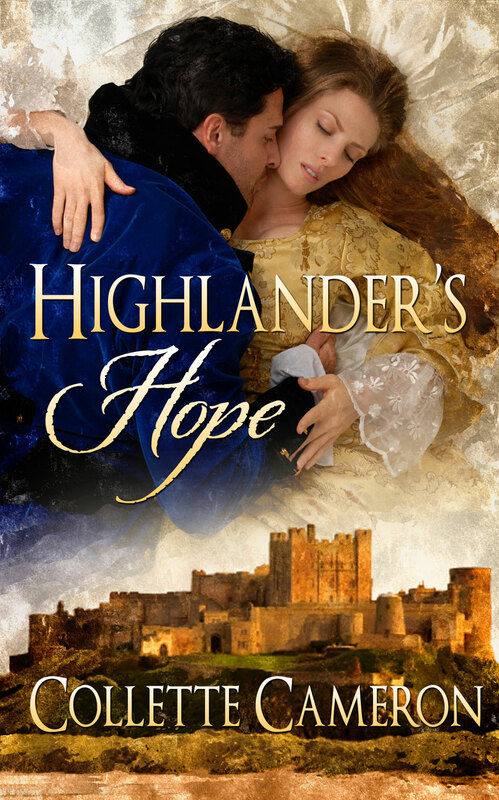 A historical romance—Highlander’s Hope. Well, I can certainly identify with starting a little later in life. How long did it take you to write your first novel? Highlander’s Hope took me 6 months to write the first draft, while still teaching full-time. It was a monstrosity—156,000 words. I cut over half of it and changed the title twice, before I was finally satisfied with the manuscript. Well, as satisfied as an author ever gets. Tell us a little about your writing style. Are you a plotter, a pantser, or something in between? A good friend of mine calls me a linear panster. It’s an oxymoron but it works for me, because I do write from beginning to end—I just don’t know exactly where I’m going along the way. Sometimes that’s great. I’ll write something that astounds me. Other times I write something that doesn’t move the story forward, and I end up cutting it. Even those cut scenes have value though. I’ve used phrases, ideas, or parts of them for some of my other work. I like to post them on my blog for my readers to enjoy too. So tell us something about Collette Cameron the person. What do you do when you’re not writing? I’m an elementary teacher and an editor for a small ebook publisher. I also am an avid gardener, and I dabble in interior decorating. Spending time with my 5 doxies, three adult children, and hubby of 30 years are also at the top of my list. And I love to travel. I’m scheming about how to finagle a trip to Scotland to do “research” for my 6 book Ferguson Saga. All the history, and castles, and the highlanders… Oh my! A six book saga? That sounds like quite project, and speaking of projects, tell us what inspired you to write Highlander’s Hope? The timing was finally right for me. My children are grown and substitute teaching left me with time on my hands. I had an idea for a cross genre novel, and it wasn’t going to write itself. For me, once I actually made the commitment to write Highlander’s Hope, there was no alternative but to plow forward until I finished it. I’m a bit obsessive compulsive about finishing things…okay, maybe more than a bit. Yvette stepped back as Ewan pushed his way into the room, leaving the door ajar. His hair was damp, no doubt from bathing, and the stubble darkening his face earlier was gone. Feet bare, wearing only buckskin breeches and a shirt unbuttoned to the waist, he resembled a pirate—a dangerous, rakish, sinfully handsome pirate. She sucked in her breath. He oughtn’t to be here, but he’d said he wanted to talk to her, and he had promised to behave. Yvette’s gaze traveled the path of silky hair from his chest until it disappeared into his waistband. Her stomach flip-flopped. Sweet Lord above. She pressed her hands to her frolicking middle. Why doesn’t he say something? A distraction, that’s what she needed. She escaped to the lumpy bed where she’d flung her clothing before bathing. She folded, then packed the garments into her valise and set it on the floor beside her trunk. Bending to retrieve her towel, she peeked sideways at him from the corner of her eye. He hasn’t moved an inch. What’s he about? Grabbing the towel, she glanced down and froze. The candles to her left bathed her in a stream of light. She could clearly see the outline of her legs. Her nightwear was almost translucent in the candlelight and gave him a shadowy view of— dear God—nearly everything. No wonder he hadn’t moved, the lout. Standing upright, she held the towel before her and faced him. “Enjoying the view, your lordship?” she snapped. Well, I have to say I enjoyed that ‘immeasurably’ as well. The book comes out in May, and we’d love to have you back to help launch it, but before you go, tell us a little bit about what’s coming up next. I just sold the second book in the Blue Rose Trilogy to Soul Mate Publishing. Highlander’s Hope is the first and The Viscount’s Vow is the second. I’m plugging away on the third novel, The Earl’s Enticement. I hope to have it done in May. Then I have a stand-alone novel that’s insisting I write it next. After that, I’ll either do the Ferguson Saga or a pair of stand-alone books but the characters are related. Actually, the entire Ferguson Saga and another five books I have plots for all center around secondary characters from Highlander’s Hope and other characters in my Blue Rose Trilogy. I have an idea for a contemporary romance as well as a paranormal historical. I’d like to try my hand at writing a medieval romance and maybe something in the Georgian or Victorian era too. The Blue Rose Trilogy is set in the Regency period. You’ve given us a lot to look forward to, Collette. Thank you once again for joining us today at A Writer’s Haven. Today I’m talking about Son of Thunder on the Nights of Passion blog. 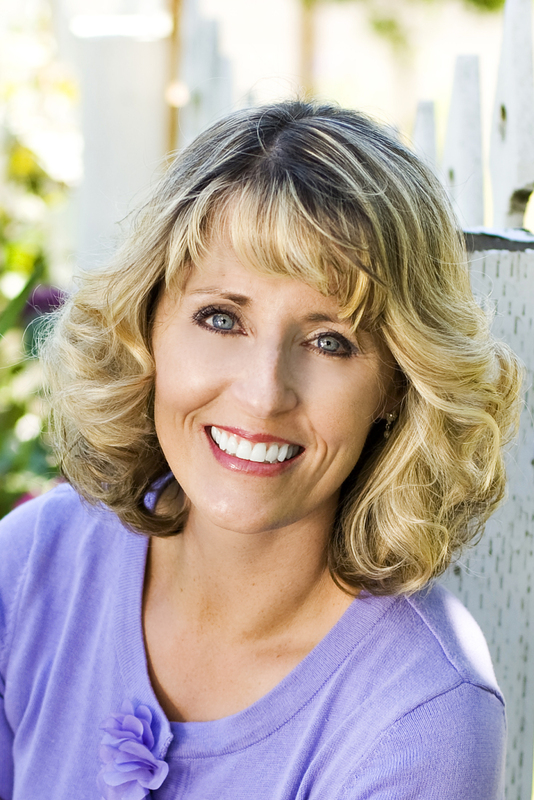 Today we’re visiting with Soul Mate author, Violetta Rand, Author of Blind Allegiance. Violetta, welcome to A Writer’s Haven. Please tell us a little about yourself and your writing. When did you know you wanted to be a writer? I started writing short stories at the age of 5 and sold them in my neighborhood. I think the writer bug really hit me at a young age because I would copy books (word for word) by hand and present them to my mother as a gift (perhaps this meant I should of been an editor/publisher?). As any good mother would, she accepted these rare volumes (written with crayons) and praised me for my dedication. Wow, you did start early. How long did it take you to write your first novel? Are you a plotter, a pantser, or something in between? Definitely a pantser. There is no way I could plot characters or make outlines (I’m not patient enough). I don’t think, I just type. I’m right with you there. So tell us, what do you do when you’re not writing? I’m an environmental scientist in, Alaska. I travel to remote sites around the state and conduct assessments or soil and water remediation projects. I also enjoy hiking, riding motorcycles, fishing, and reading. I have to say, I love your cover. What inspired you to write Blind Allegiance? Simple. I love Vikings. I enjoy the warrior’s tale–everything that made them brutal and legendary, to the sense of honor and dedication they felt for family and friends. Violetta, thank you so much for visiting with us today. One last question before you leave: What’s next? 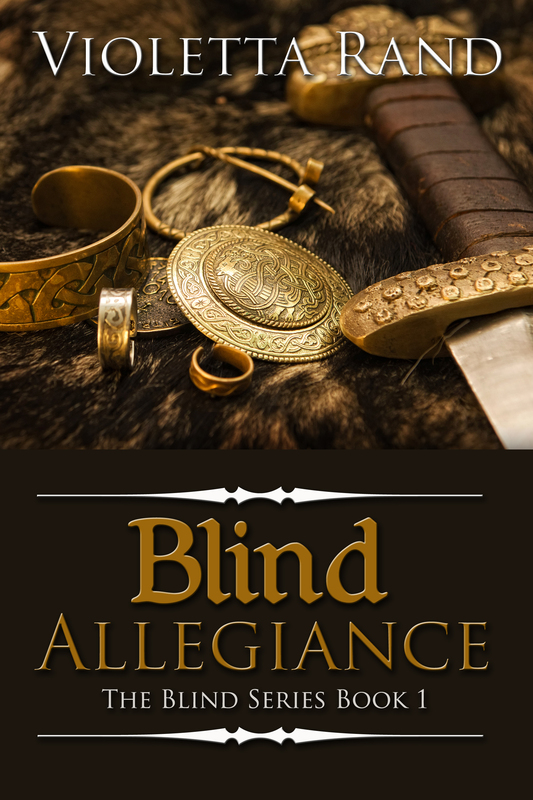 Blind Allegiance is the first book in the Blind Series for Soul Mate Publishing. The second book, Blind Mercy, is finished. I am currently writing Book 3, Blind Vengeance. Additionally, I’m working on a contemporary romance set in the 1980s. Violetta has been “in love” with writing since childhood. Struck with an entrepreneurial spirit at a young age, she wrote short stories illustrated by her best friend and sold them in her neighborhood. The only thing she loves more than writing is her wonderful relationship with her husband, Jeff. She enjoys outdoor activities, reading whatever she can get her hands on, music, and losing herself in the ancient worlds she enjoys bringing to life in the pages of her stories. Yup, it’s time once again for our popular Adopt a Werewolf campaign. 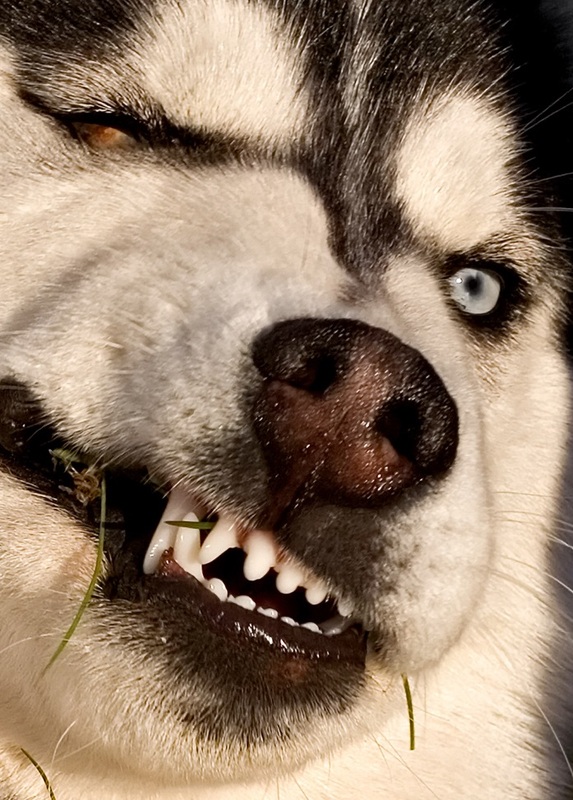 Here at A writer’s Haven we’re dedicated to finding homes for these adorable growling, fanged demons from another dimension. I mean, can you look in these eyes and say no? So many of you have commented to me about the joys of having a werewolf to cuddle up with around the house, and it has warmed my heart. I’ve even heard of people passing around their werewolves just so others can know the joy of spending quality time a vicious, fanged creature. Well, we won’t be happy until everyone has a werewolf of their very own. Yup, now through Tuesday you can get your very own Kindle copy of There’s No Such Thing As Werewolves…FREE! Join the thousands of werewolf owners, cowering under the covers at night reading the Demons Rising series, while their cuddly pet snarls and scratches at the bedroom door.